used to the wider world, needs the exercise to stay healthy, no enough time to ride. Includes 22 pages of notes with details about each activity. 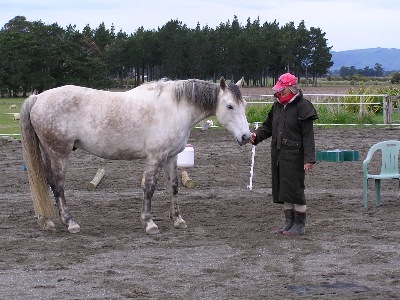 ourselves and the horse by learning skills we will need to be bold with the trailer. The second deals with the trailer itself, as just one more fun obstacle to play with. All about teaching flexion on both sides of the body to enable straightness. the horse and the handler. her harness, hitch up, and pull a cart at home in controlled situations.